The present Android Operating System is just like the convectional computer operating system, in it also temporary files are created during booting , installing and uninstalling applications or programs which take extra space in your phones memory and also extra RAM space. These may cause decreased RAM space thus leading to lagging of the system. 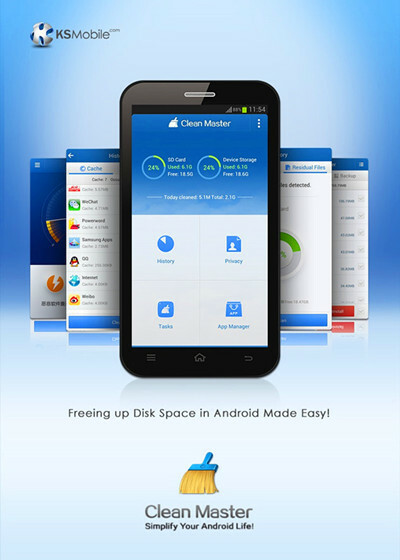 Clean Master is an all-in-one Android cleaning application which will remove useless redundant files, erase your device history, wipe any private data, uninstall applications and act as a task killer. You can download this application from Google Play Store.